Arborjet Trunk Injections: Treat Whitefly Now!
" 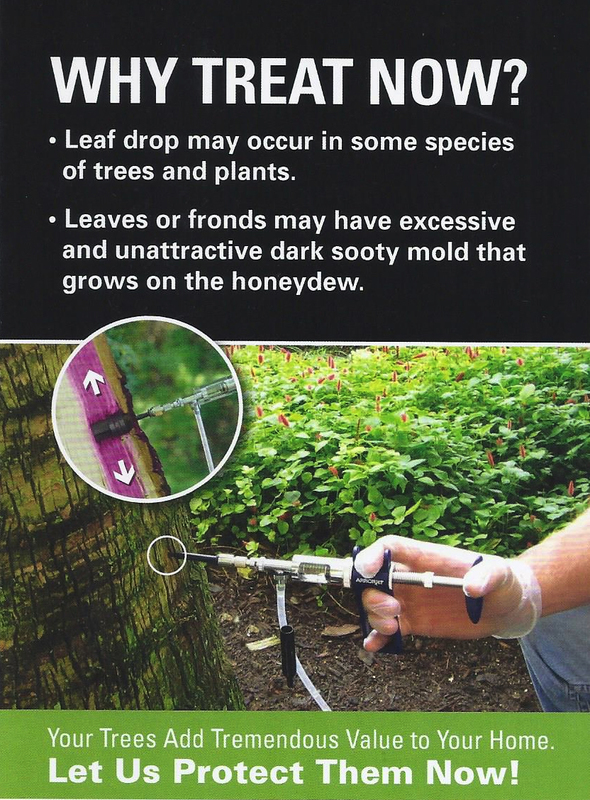 Why we use Arborjet Trunk Injections..."
Formulation is injected directly into the tree's transport system and is quickly distributed throughout the tree! University Trials have proven that Arborject Injections work faster, harder, longer. Treatment is sealed in the tree.